Infected gums are more common than is generally realized. While it can be relatively easy to contract a gum infection, with the right knowledge and some care and attention, it is possible to avoid them. Read on to learn about some of the well-known causes of gum infections, as well as some of the common mistakes that can not only inhibit the healing of the condition, but can also actually encourage it to return. 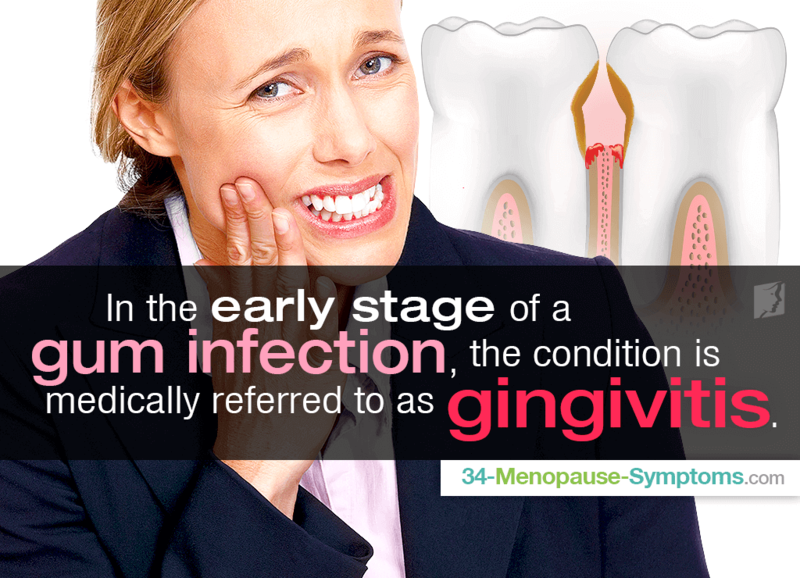 In the early stages of a gum infection, the condition is medically referred to as gingivitis. It is possible to be experience gingivitis without being aware of it, because it is quite often not severe or symptomatic enough to notice. For this reason, it is important to regularly see a dentist for check-ups. Signs of this sort gum infection can be slightly red, or swollen surface of the gum, or possibly some bleeding when you brush your teeth. Vitamin C deficiency. This condition is also referred to as scurvy. It occurs when the body does not obtain a sufficient amount of vitamin C, which causes the deterioration of bodily connective tissues; this weakens the skin of the gums, making them more vulnerable to bacteria and consequently infections. Extracted teeth. Many women will have teeth removed at some stage of their life, and sometimes the exposed wound can become infected. This is due to the fact that any bacteria that enters your mouth will easily come into contact with the raw area, and can therefore easily infiltrate the gums. Impaired immune system. If you have suffered from another infection or virus, and your immune system has been weakened, you are more liable to contract gingivitis. This can also occur if you do not consume an adequate amount of fruits and vegetables. Smoking or chewing tobacco. The intake of tobacco leads to a decrease of oxygen in the bloodstream, which is detrimental to health because it inhibits the body's natural defense system against infections. The compounds in tobacco will aggravate gums and are likely to worsen an infection and any bleeding. Inconsistent dental care. It is suggested that you visit your dentist every six months to have your teeth and gums checked thoroughly, but also because it is possible for a dentist to remove hardened plaque, which cannot be cleaned personally at home. This should be done regularly in order to lessen the chances of an infection. Awareness of the signs and symptoms of gum infections should help you to recognize the onset of infection quickly. This then means that you are more likely to be able to take action against the infection, and either cure it altogether or at least stop it from worsening before you can see a dentist. Your gum line may start receding at any stage of your life. It may increase during times of hormonal imbalance, such as during menopause.